Looking for some new songs to play in Rock Band 4? Harmonix added three new Avril Lavigne tracks to the music game's DLC library today. The three songs span Lavigne's career, beginning with her 2002 breakout hit, "Complicated." The other two songs are "My Happy Ending" and "What the Hell." For that last song, the handclaps have been put into the drum track, Harmonix explained in a blog post. Check out the video below to see the songs in action in Rock Band 4. The songs are available for $2 each or as part of the Avril Lavigne Pack 01 for $5.50. The naming convention suggests this could be just the first track pack featuring songs from the Canadian artist. 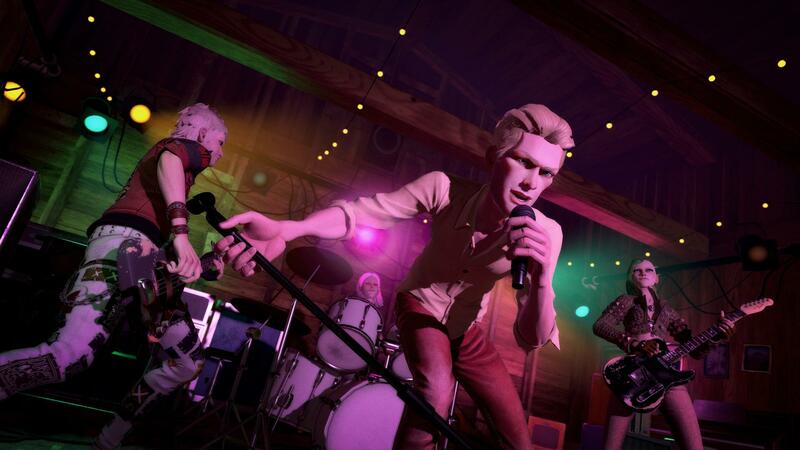 Rock Band 4's first expansion, Rivals, came out in October. It adds the new Rivals mode, which is an asynchronous mode where multiple players "join up remotely as members of Crews to compete in a stats battle with other Crews around the world." Rivals also comes with what's called "Rockudrama," a new story campaign that "pulls you through a twisting, funny, and sometimes tragic story of your band's history and triumph over adversity." People who buy Rivals will also get access to other content updates coming out in the future, including synchronous online multiplayer, which arrives this holiday. More character customization options are also on the way. A new, foldable Jaguar guitar controller launched alongside the Rivals expansion.